BMH Tutors in Birmingham provide a comprehensive private tuition service in West Midlands, for children and young teenagers. Whether you have a child that has fallen behind and needs a boost to catch up, or maybe you want to stretch the capabilities of your gifted child, Private Tutors Birmingham can tailor to your specific needs and to the needs of your child. We believe that every child can achieve and every child can succeed, irrespective of their age or ability. BMH Tutors West Midlands exists to tap your child’s potential. It is well known that private tuition in Birmingham can play a key role in raising school performance. It can also build confidence and motivation. According to recent surveys many parents in the UK opt for private tuition services to raise their child’s levels and confidence. We at BMH Tutors have the main goal of giving your child a new level of enjoyment in their studies and a greater sense of discipline. We generate a positive ‘can do’ atmosphere of learning for all students. In such an atmosphere, individual needs are satisfied and real and measurable progress is made. Our tuition service is operated from two teaching premises covering the West Midlands area. In addition to our facilities we also provide home tuition within the Birmingham area. Teaching is available on week days and weekends. We have a team of highly qualified teachers with Masters Degrees and more than 20 years teaching experience. Our private Birmingham tutors have access to high quality study material and the most effective technical facilities. Students have access to computers for research and online testing. Private Tuition West Midlands are the perfect solution to your worries. 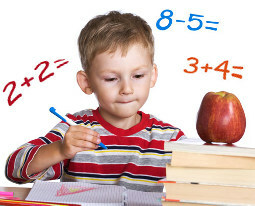 We offer specialist home tuition or as an alternative your child can join our small groups. The private tuition sessions have really helped me to improve. The Birmingham tutors have taught me different learning techniques which have really helped me to understand things better.